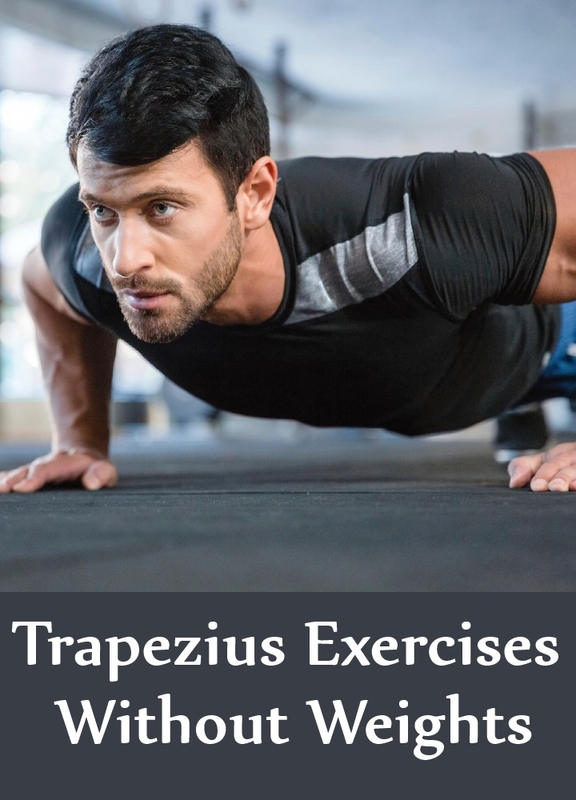 Trapezius is an important muscle group which aids in supporting the spine and neck muscles. The trapezius consists of three regions and bodybuilders work on their traps more frequently than any other muscle in upper body. By building traps, one can increase the upper body strength which is extremely required for weight lifting. In-addition to that, you will grab more attention from other people. Since it’s not always possible to train with weights, there are a couple of exercises that can really help to build traps just by using your own body-weight. But it’s important to do these exercises at-least three times in a week to build the trapezius muscles. This version of push ups works effectively on shoulder muscles and traps. To do a handstand push up, place your hands on the floor at shoulder width and move your body up against the wall with your legs fully extended. Now extend your arms fully and try to keep your body straight without sliding or moving. That would be your starting place, begin to lower the arms by bending the elbows such that your head touches the floor. Hold a second at that position and slowly come up to the first place. Repeat the same for about 12 reps in 2 sets. Shoulder shrug is normally done with dumbbells or barbells, but no weights are needed for this variation. This exercise tones and strengthen the traps. To start this exercise, first stand straight on the floor with your knees bent and extend the arms to your sides. Now lift your shoulders up slowly, like you are touching the ears. Once you bring the shoulders up as high as possible, hold there for a second and contract your traps. Then slowly lower them down to bring back to the first place. Repeat the same for about 20 reps in 2 sets. It’s one of the best exercise to tone your back muscles and build the traps simultaneously. Hold the pull up bar with your hands, by taking a wider grip than shoulder width and bend your torso to create a curve at the back. Now begin to pull yourself up, until the head comes to the level of the pull up bar. Hold there for a second and slowly lower yourself down until the arms are fully extended. This exercise might seem hard at first, but with practice it will become easy. Do about 15 reps in 2 sets. 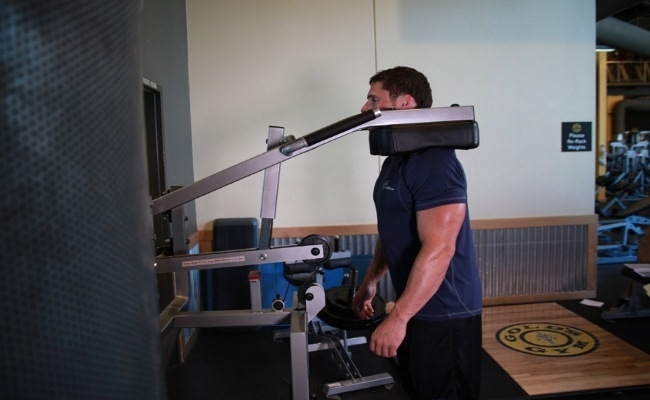 This exercise will strengthen the forearms, traps and shoulder muscles. To start the exercise, first stand straight on the floor and place your arms to the sides at shoulder level, almost parallel to the floor. That would be your starting position. Now slowly rotate the arms in a circular motion for about 20 seconds. Then again rotate the arms in the opposite direction for the same time period. Once you get habituated, increase the rotation time to 1 minute. Superman is a good body-weight exercise that works on traps and lower back. To do this exercise, lie face down on the floor and extend your arms to the front side. Keep your back straight and begin to raise the arms, legs and chest simultaneously upwards as high as possible. Hold for a second at that position and contract your lower back. Then slowly lower the arms, legs and chest back down to the first place. Repeat the same movement for about 12 reps in 2 sets.